Love can most certainly be celebrated every day, but you can celebrate it in an extra special way this Valentine’s with limited edition Toblerone Blank Packs! This year, #BeMoreImaginative! Surprise your loved ones or significant other with a sweet gift that shows how thoughtful and creative you are. Give the iconic triangular chocolate your own romantic twist by writing heartfelt or “kilig” notes and love letters that will make great additions to your special love story! Expressing sincere, thoughtful messages this Valentine’s Day will surely send hearts aflutter. Thoughtful messages such as these will make Toblerone’s premium milk chocolate even more delicious. Rich chocolate, crunch almond, and chewey nougat becomes even more special and delectable when accompanied with sweet articulations of love. 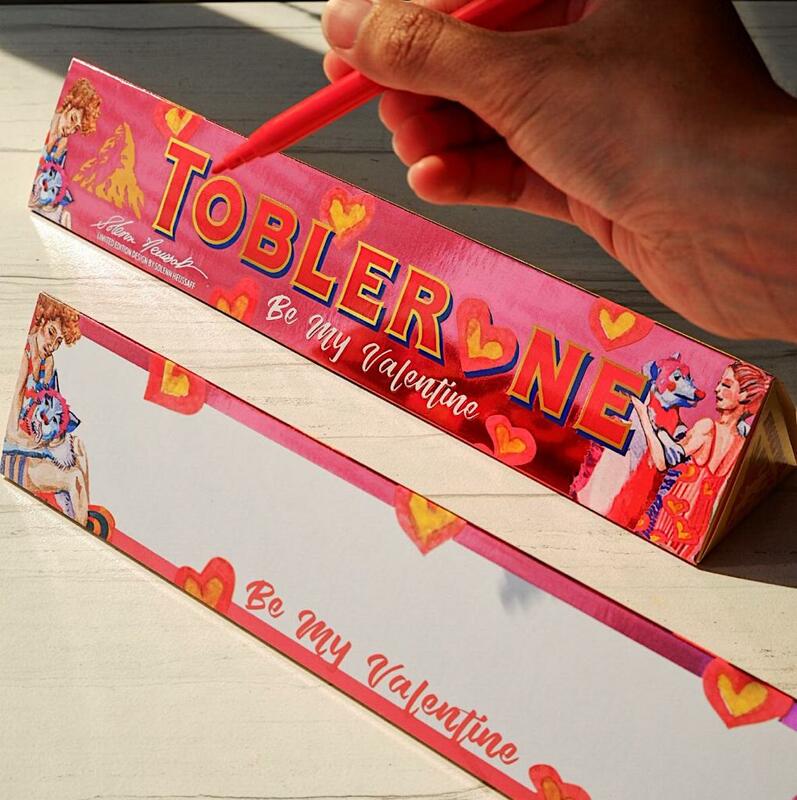 The limited edition Toblerone Blank Packs for this Valentine’s season draw inspiration from this season of love and appreciation. 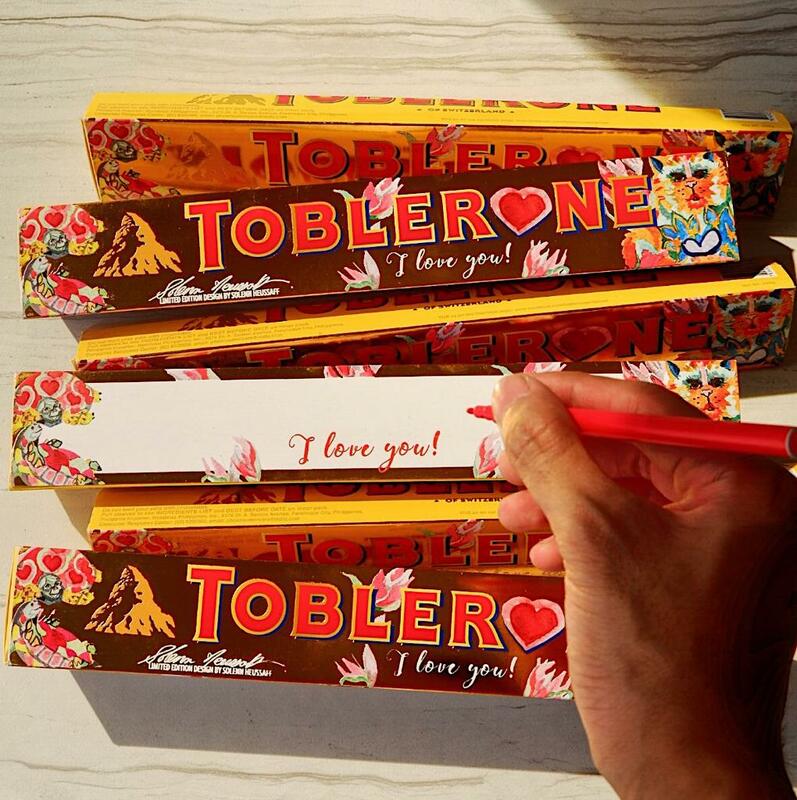 The new Toblerone blank pack designs were created to spark more love into your Valentine’s gifts! 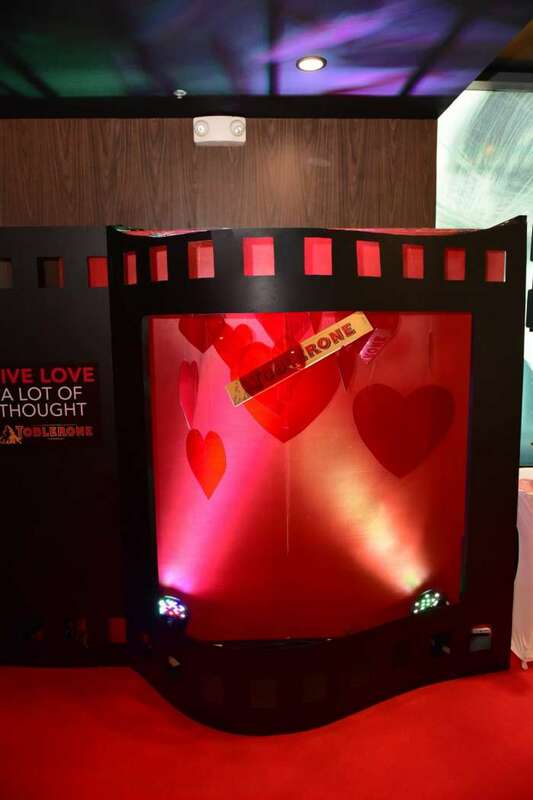 This Valentine’s season, our favorite sweet and wacky celebrity power couple, Solenn Heussaff and Nico Bolzico, collaborated with Toblerone for their very own designs of the Toblerone Blank Packs! Solenn created two designs with Nico. The first Toblerone Blank Pack is adorned with lush flora and fauna. The second design features cartoon illustrations of the cute celebrity couple together with their beloved fur baby dog, Pochola! It also shares and celebrates the couple’s love story. 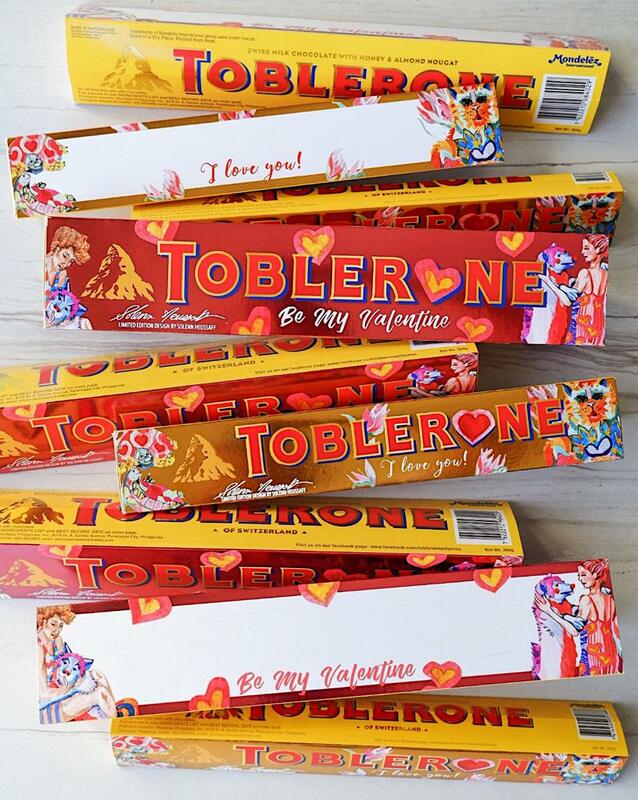 To bring more Valentine’s designs to life, Toblerone also collaborated with some of the country’s talented and sought-after young artists. Soleil Ignacio brings her sophisticated and fashionable drawing style to liven up the new Toblerone Blank Packs. Anina Rubio’s vibrant art and delicate calligraphy will surely inspire gifters to pen their own sweet messages. June Digan’s whimsical and dreamy designs will make your loved ones or significant other feel extra special. Raxenne Maniquiz’s bold, intricate, and classic art style will add elegance to your Valentine’s Day gift. And last but not least, Louise Dimagmaliw’s feminine and polished artwork will add more sweetness and fun to your Valentine’s celebration. 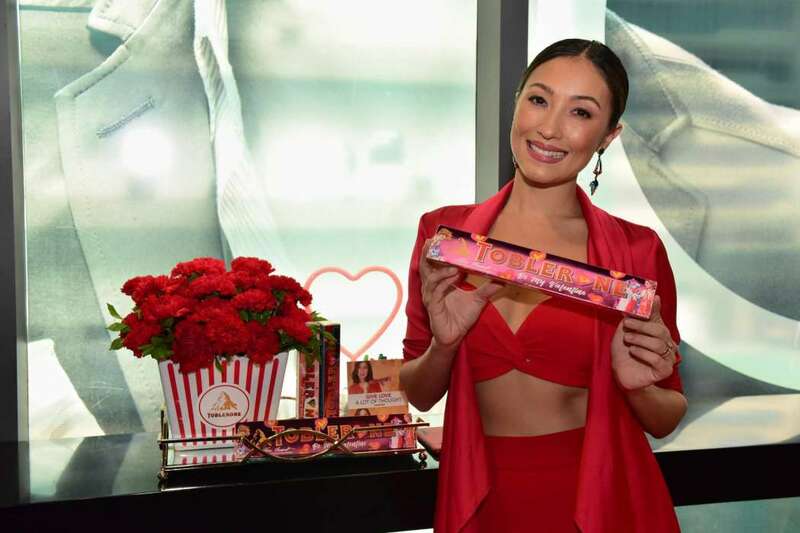 Those who want to gift the special Toblerone Blank Packs for Valentine’s Day can get their delectable chocolate bars in Toblerone Valentine’s hubs nationwide. In these hubs, they will be able to #BeMoreImaginative as they add more designs and sweet messages to their limited edition Toblerone Black Packs. Give love a lot of thought this Valentine’s Day and add more chapters to your very own epic love story! The Limited Edition Holiday Black Packs are available in 100g (Php 106), 200g (Php 206) and 360g (Php 400). 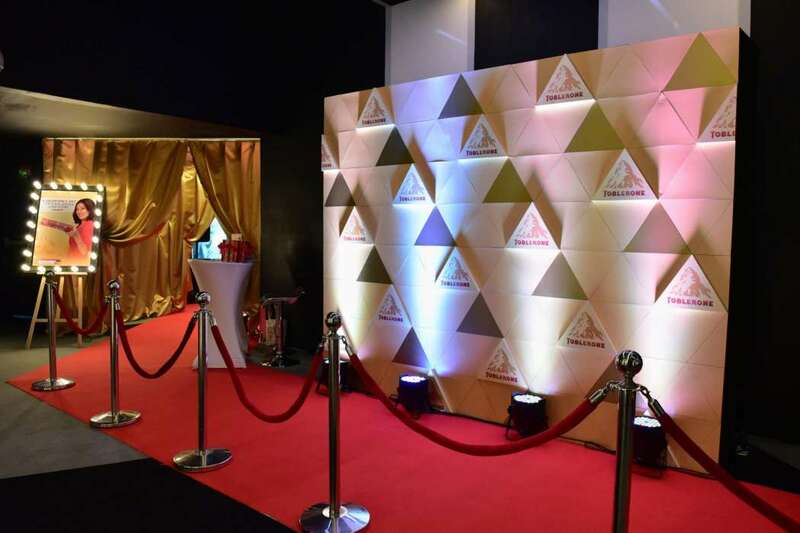 and follow @toblerone_ph on Twitter and Instagram.